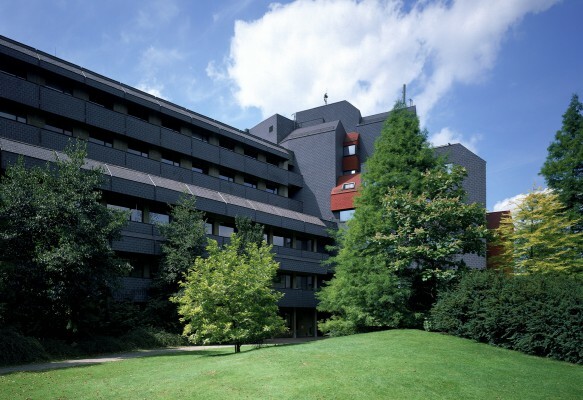 The turn-key building on what was then the newly built ULB La Plaine Campus, planned and completed in eight months, consists of mathematics and physics teaching and research laboratories. 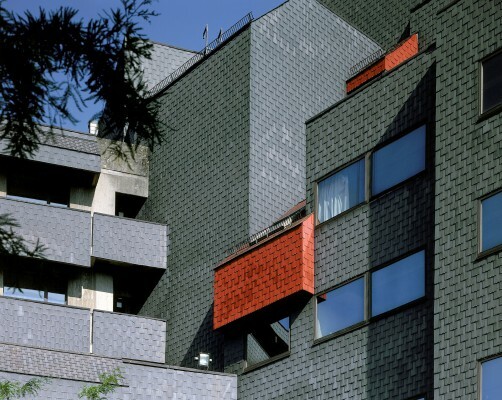 The black and red slate of the other building, follow the general guidelines laid down in the A+U master plan. 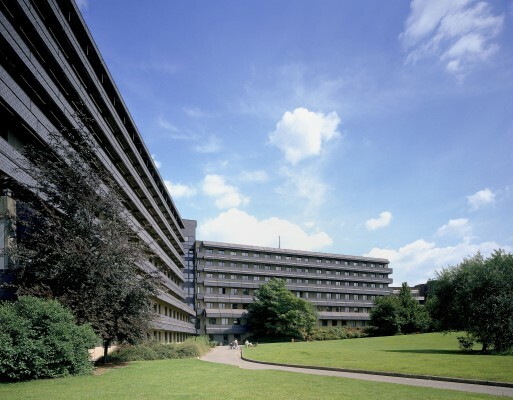 After a quarter of a century, these buidlings remain key features of the ULB University's La Plaine Campus, which has seen others constructions.